Local teachers will receive $1,984 in Robert P. Bell Education Grants from The Community Foundation of Muncie and Delaware County, Inc. Across the county, 1,000s of students benefit from Bell Education Grants each year. Awards of up to $450 are available through the Bell Grants program. Funded projects are creative or innovative ideas or programs designed to stimulate learning in students. All Delaware County teachers are invited to apply during any of the four grant cycles. 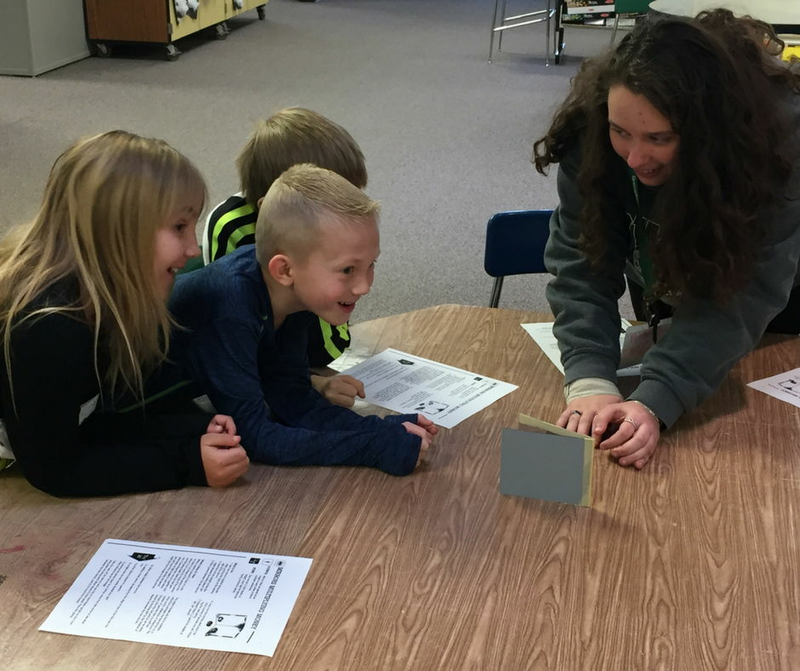 This past summer, The Community Foundation established the Robert P. Bell Teacher Grants Fund to permanently endow the program to ensure that teachers have access to funds to help engage their students in meaningful ways for years to come. Individuals can contribute to the new endowment fund to memorialize a special teacher, honor a retiring teacher or teacher celebrating a work anniversary, or to simply show their support for K-12 education in Delaware County. Taryn Beckman, Southside Middle School, was awarded $210 for a project that helps middle school language arts students discover and discuss the idea of social justice from stories of the children during the Civil Rights Movement in a way that can inspire and inform the behavior of young people today. Students will read a collection of non-fiction stories and symbolically represent a story using a fabric square. Clara Chi, Indiana Academy, was awarded $450 for a project that teaches Japanese flower arranging (ikebana) to high school juniors and seniors in Japanese Class. The project will explore both the biology of the flowers and wabi-sabi Japanese aesthetics which make ikebana appealing. Joshua Ruark, Indiana Academy, was awarded $180 for high school trigonometry students to explore dampened harmonic motion using random oscillating magnet pendulum (ROMP) devices. Through this project, students will work with partners to conduct a series of experiments to observe and record effects of altering the trajectory of a pendulum. Rebekah Weaver, Delta High School, was awarded $449 to improve high school band students’ ability to get themselves in tune with their instrument and the rest of the ensemble. Tuners and microphones used during rehearsal will allow students to not only develop an ear for intonation but also provide a visual aid to support listening activities. Stephanie Nagelkirk, Indiana Academy, was awarded $450 for high school literature students to create life-sized visual representations of the stages and aspects of womanhood as described in the women’s literature studied. Through the project, students will explore metaphorical concepts through physical symbols that represent the ideas presented through a variety of herstories of women. Kristi Gibson, Albany Elementary School, was awarded $244 to provide first graders with a long-term series of STEM-related activities, promoting confidence and awareness of math and science in real-world scenarios. Activities will engage students in hands-on inquiry, involve teamwork, allow for differentiation, and give opportunities for improvement. The next deadline for Bell Grants is April 1, 2017. For more information about Bell Grants applications and the Robert P. Bell Teacher Grants Fund click here or contact Colton Strawser, Program Officer at cstrawser@cfmdin.org.